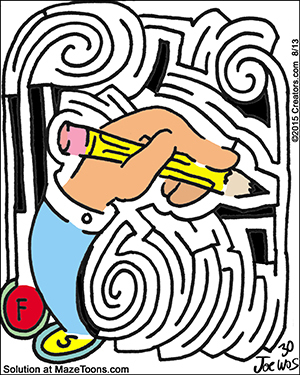 Today’s maze celebrates the release of my new book, “Myths and Monsters:50 Mazes for Kids!” The book features over 50 different mythical, magical, and monsterous creatures from around the world. To celebrate today’s MazeToons features a few mythical creatures, the unicorn and pegasus. Previous Happy 220th Birthday to Mary Shelley, the mother of Science Fiction! Next Happy Teddy Bear Day!